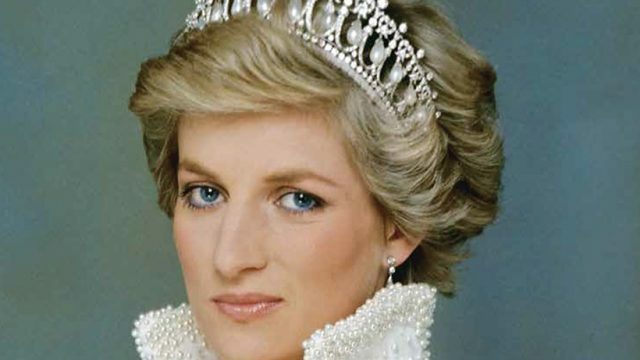 Today marks twenty years since the death of Diana, and I still remember it as if it was yesterday. Which is the problem. Two decades of tabloid speculation has twisted our memory of her. Time to let her rest. I remember the crisp blue morning when I heard the news about Diana. I was in the bath, and as per usual, I left the television blaring on mute in the other room. Disturbed by the scream of the jug, and halfway to the kitchen, I was struck by an image. A grainy yellow tunnel flickered by the urgency of flashing lights. A tableau that showed little, but hinted at great crisis. The type that bracketed the frame made the facts clear, as the water pooled at my feet. However, as today marks twenty years since that morning, I feel different about the whole thing. Perhaps in a sort of backward way, she’s lucky that she hasn’t seen what she’s become. The last two decades has turned her into tabloid bait. And I’ll be honest, in the early days of the horror, I fell victim like everyone else. I wanted more information. Anything to make the senseless brutality make more sense. I speculated if the driver was drunk, if the driver was deliberately drunk, if the Paparazzi was at fault, if the plot was authored in Windsor, if the smoking gun spun around Prince Charles’ finger. All seemed plausible at the time. But every anniversary since her hideous death, we rebirth the trauma. So it goes for JFK, Diana walks too. What makes her different, is her inability to rest. Her name is constantly in our ear through the endless stream of exclusives, or exposes, or trumpeted rumour as fact every year since. As the tributes fly today, shouting that she will never be forgotten, I’m wondering which version of her we remember. Who she was in life, or who she is in death? It’s not exclusively our fault that we tend to remember the plot, as we’ve not been able to forget it. Much like Kennedy, the circumstances around her death control the narrative, whitewashing over the formative achievements of her life. And I can understand why. A great mother, a towering humanitarian, a fly in the royal ointment mysteriously struck down in her prime. It’s a great story. But that equine has long been flogged. Whatever happened, happened. Perhaps now, on the twentieth anniversary of her passing, it might be time to finally move on. To remember who she was, and not the method of her exit. Gay Mackie is a retired print journalist, who spends her time at yoghurt (yoga), tap dancing and asleep between the hours of 2-4pm. She'd also like to make it clear that the Editor-in-Chief of The Big Smoke is her grandson.